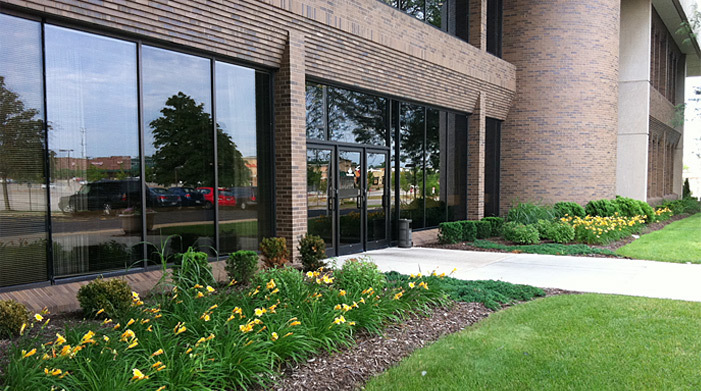 Redesigning the exterior landscaping of a property can vastly improve the appearance of your commercial, industrial, or office building. We can work with your ideas and budgets to find the best way to improve your current landscaping. Our professionals can meet with you to update or change completely the landscaping on your property. Whether it is a small area or the entire property, our crews have the expertise to complete your project quickly and professionally. Let us transform the image of your property. Please contact our office or submit a request for a quote online to set up a meeting with our management and landscaping experts.